Would YOU like to be a Featured Blogger at #CMCon17? Coastal Magic Convention is a not only awesome, but very laid back and just plain fun. A definite convention you don’t want to miss. Hopefully you will be hearing lots about CMCon2017 from me here, as I would love to be a featured blogger for them. It may seem a bit strange to be sending out an “all call” for our 2017 Featured Bloggers, considering we just wrapped up the 2016 event less than a month ago. 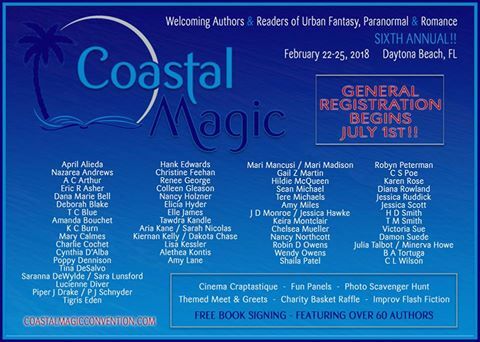 But our Featured Bloggers play a multitude of roles during the planning and prep of each year’s Coastal Magic, and it takes a little bit of time to put together just the right group.